As many of you will be aware, I left the role of Chief Executive of the Libraries Taskforce at the end of March. Whilst I was originally only supposed to be on loan from the Cabinet Office for a year, I ended up staying three years - but it’s now time for me to go ‘back home’. However, I wanted to give just a few reflections on what I’ve seen during my time in post. My first reflection would be that public libraries are needed as much now as when they were first established over 150 years ago. Whilst the fundamental purpose of libraries may not have changed - being places of learning, leisure, enlightenment and betterment, open to all - the activities that they provide, and the individual and community outcomes that they support, have certainly evolved over time, reflecting the changing needs of their users. Supporters of the 1850 Public Libraries Act may not have foreseen wifi access, but I’m sure they would have welcomed its provision in (practically) all public libraries in England, enabling people to benefit from all the information stored online, in addition to the physical collections that they can see around them. Which brings me on to my second reflection; the critical role of the library workforce. As Neil Gaiman so wonderfully put it, “Google can bring you back 100,000 answers, a librarian can bring you back the right one.” In this age of ‘fake news’, it has never been more important to have well trained, trusted people available who can help users to source the right piece of advice or signpost them to others who can assist. But people who work in libraries do much more than that. Through the safe, non-judgemental, spaces they nurture; the welcome, encouragement and assistance they give to a wide range of users; and the activities they run, they can: bring communities together; reduce loneliness and social isolation; help people find, and talk about, a new book to broaden their knowledge; enable people to see, and often co-create, arts and cultural experiences; support people in getting a job or to start and grow their own business; or to manage their health and wellbeing better - and that’s just before lunch on a Monday usually! 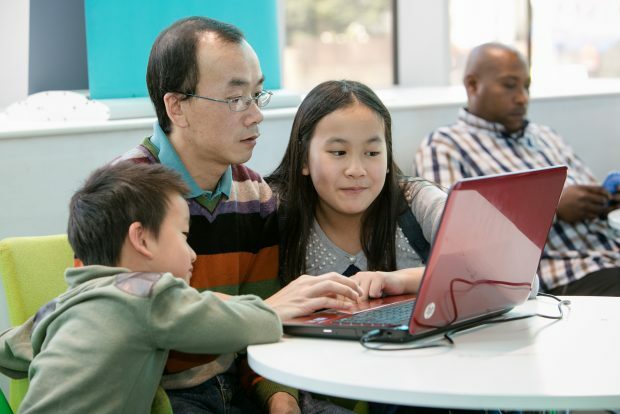 It was fabulous to see how people seized the chance to deliver a wide range of new activities through the DCMS-funded Libraries: Opportunities for Everyone innovation fund. I look forward to reading the evaluation report later this year and seeing the most successful projects rolled out further. I’m also very pleased we have been able to showcase some of these hard-working staff through our social media accounts - people like Dionne Hood, Elizabeth McDonald, Julie McKirdy, Thomas Colloff, Russell Allen, Annie Brierley and John McNab, Aude Charillon, Scott Brown and Julie Thomson - but they really are just the tip of the iceberg, and I want to thank everyone working in public libraries across the country for everything they do to make the world a better place for their users and communities. One of the great pleasures in my job has been the ability to make lots of visits to libraries - an estimate from a quick skim of my diary would be around 130. The variety of these libraries is easy to see from the over 1,000 photos on the Taskforce’s Flickr account - large and small, rural and urban, modern and traditional - but what you usually can’t see from the photos, is the different ways that these libraries are now being delivered - my third reflection. Ensuring libraries have a sustainable future at a time of austerity has been a key focus of the Taskforce, and has probably been one of its most controversial areas of work. Firstly, we have needed to demonstrate the value that libraries add, across a wide range of outcomes, to individuals, to communities, to partner organisations, and to government (locally and nationally). I know some think that this is obvious and shouldn’t need to be spelt out - libraries are clearly ‘a good thing’ and shouldn’t need to be justified - but, unfortunately, the world doesn’t work as simply as that any more. Gathering hard evidence about their impact through data and research, supplemented by softer evidence in case studies and anecdotes, and then deploying it persuasively to decision makers, is critical. Influencing the development of policy can be a long and arduous task, with little to see until the end result comes out - for example, a new strategy document where the role of libraries is acknowledged, spelt out and built upon. We’ve started to achieve this, for example with the UK Digital Strategy, the Internet Safety Strategy Green Paper, the Culture is Digital Strategy and the Integrated Communities Strategy Green Paper. 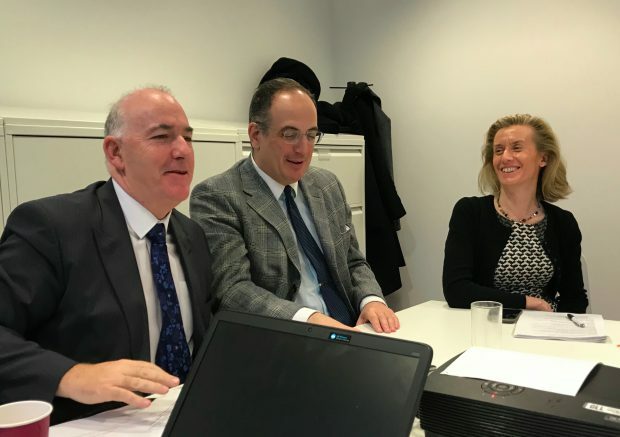 However, there are new strategies being written all the time (for example cross-government work has recently begun to develop a strategy for combating loneliness, which we think should acknowledge the wonderful work that libraries do), so this influencing work will continue to be a priority for the Taskforce team. Following on from this, the Taskforce has worked to encourage councils to think strategically about the library services their communities need. Strong library services almost inevitably have strong leadership from council politicians and officers; and the most successful understand how the library service supports their wider aspirations for their communities, and includes the service within these broader strategies. Achieving this integration, and adopting the ‘Libraries First’ approach we recommended as Action 1 of our Ambition Action Plan published in December 2016, is one of the strongest ways to ensure sustainable library services. We’ve then presented the options available for library service delivery. It isn’t for the Taskforce to say what delivery model each local authority should adopt - everyone’s circumstances are different - but we do want them to know the pros and cons of each option (including any research that has been conducted, for example, that done on community managed libraries or mutuals), so they can make evidence-based decisions on which is the right choice for their local area. We’ve provided a number of toolkits to support councils with these decisions, as well as running masterclasses where they can hear directly from those services who have already adopted different models to get a ‘warts and all’ view on how they have worked. I’m very grateful to all the services who have so willingly shared their knowledge and experience to help us in this work, and encourage them to continue to share their learning. But the work on this aspect isn’t done - and probably never will be - as the Taskforce needs to continue to support and challenge councils to learn from, and adopt, the good practice guidance we’ve produced. However, what the Taskforce as a collective body cannot do - despite many appearing to wish that it would - is to cut across the statutory role of the DCMS Secretary of State, whose responsibility it is to superintend the delivery of library services under the 1964 Public Libraries and Museums Act. The Taskforce’s Terms of Reference do not allow for it to become involved in determining the rights and wrongs of individual cases, though I realise that many find this frustrating. I have sometimes parodied the work of the Taskforce team as being the ‘good cop’, acting as a ‘critical friend’ in supporting services to improve, with the DCMS Libraries team (who support the Secretary of State in his statutory role) as being the ‘bad cop’ who intervene when complaints are raised, and, whilst this is a simplistic overview, it often seems to be helpful in making clear the differences. My fourth reflection is on how the sector has come together over the last three years, and the changes I’ve seen in the various national bodies who lead and support library services. 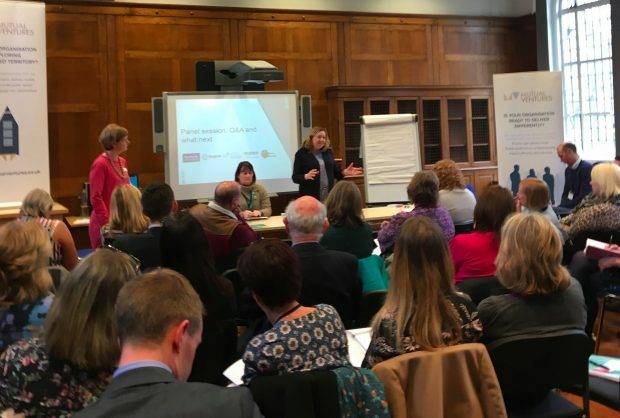 Producing the Libraries Deliver: Ambition document was a shared effort across the Taskforce, with input from hundreds of people across the country. As the first ever strategy with buy in from everyone in the sector, plus endorsement from central and local government (through DCMS and the LGA), it has provided a unifying vision for everyone to work to, and I’m very pleased every time I see it referenced by councils, government departments and partners. the British Library is working ever closer with library services on their business offer, the Living Knowledge Network, and on the next phase of the Single Library Digital Presence project. As a result, these organisations, with continued support from DCMS, the LGA and other Taskforce members, are now far better placed to start to take the lead on activities that the Taskforce team has led on to date, and I look forward to seeing this transition happen over the coming year. My final reflection is for everyone who loves library services. There were 205 million visits to public library services in England in 2016/17 (more than attended Premier League football matches, the cinema and A&E major injuries clinics). The Carnegie UK Trust ‘Shining a Light’ report showed that around half of people they interviewed (46%) used a library in the previous year (similar to those in other jurisdictions). Although there is a statistically significant relationship between library use and prolific readership, 21% of people who rarely or never read books use the library; suggesting that they’re making use of the wider services libraries provide. In addition, the report also confirmed that 72% of people thought library services were important for their communities, whether they were regular library users or not. This demonstrates the wealth of support there is for library services and what they provide. So what would my messages be to those who run or use library services? To councils: build your strategic planning on a robust understanding of local user needs, consulting and co-designing your service with local people. Ensure that library services are fully integrated into your wider community strategies, thinking laterally about how the service, and its workforce, can support delivery of all your aspirations for your area. Think ‘Libraries First’! To library services: relentlessly promote all the good things you do, and the impact you make, to users and non-users alike, making good use of (hard and soft) evidence. Don't assume everyone know what a modern library service offers. Share your good practice and learning freely, and seek and adopt it from others. To local people who think that library services are important to their community: tell your local decision makers this, and also tell everyone in your area how they can benefit from library services. Visitor numbers have decreased over the last 10 years and, despite the huge numbers of users, this makes it easier for some people to argue that libraries aren’t relevant any more and to make cuts to services. So use it or you may lose it…. It’s been my pleasure to work with some fantastic people over the last three years. I’m sure you’ll all be pleased to know that I’m not going to have an Oscar moment and list them all here, but I would particularly like to thank my team (Sheila Bennett, Julia Chandler, Charlotte Lane and Foluke Oshin) who have provided unstinting support in everything I’ve asked them to do. Amongst many other things, they’ve run 19 Taskforce meetings and travelled thousands of miles with me around the country, visiting libraries and running events and masterclasses (37 at the last count), and then ensuring the good practice we’ve seen has been shared widely, especially through the 2,000+ tweets and 273 blogs (viewed over 150,000 times) that we’ve published on the Taskforce social media accounts. We have been supported in everything we have done by the Taskforce members, especially the two Taskforce Chairs and the DCMS Libraries team, and have had strong backing from the four Libraries Ministers we have worked with. My thanks go to them all, and I know they will ensure the Taskforce continues to deliver against its priorities and to report on its progress for everyone to see.